Our Classical Conversations year is Cycle 1, which covers Ancient/Civilization History. It touches on most of the major civilizations, starting with Greek and Roman. The first two weeks of memory work are the 10 commandments, so many CC mom's put Egyptian history in there too. I had an idea to cover in depth the Myths of the civilizations with our reading plan, and thinking ahead about Cycle 2 and 3, I plan on years of Magic and Science, to go along with the ideas that are controlling and shaping the times. (Cycle 2 is the Medieval Period, and Cycle 3 is American.) But I wasn't quite loving just learning the Myths, and I couldn't figure out how to incorporate right, Biblical thinking. And then I learned about Perpetua. Perpetua was a Christian in 203, who was killed in the Arena for her faith. While she was imprisoned, she kept a diary, or journal, and it is the earliest Christian writing by a woman. I was fascinated, of course, and then it struck me. I could show how Christianity differs from the mythic cultures that we'll be studying, and how Christians ultimately changed those civilizations. These are big thoughts for my little people, I know, so I won't go about this straight on, but more in a wind about way. 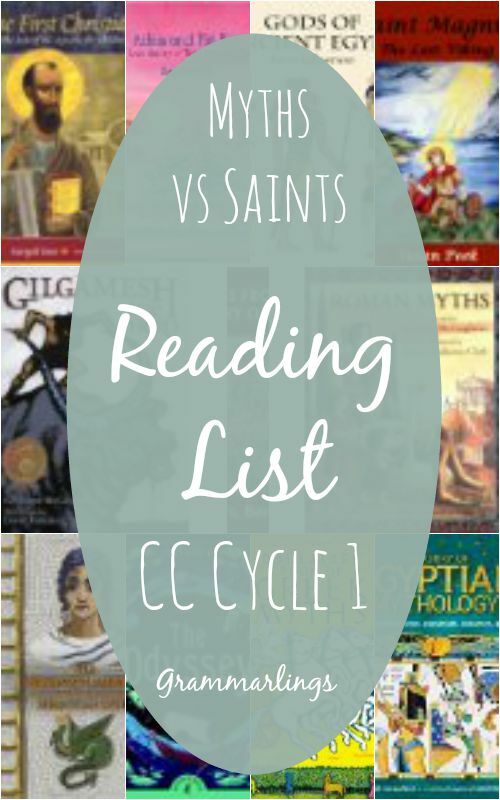 Our reading list will be stories about myths, and then stories about saints. It will not match up exactly with our weekly memory sentences, we'll have shorter reads to match those, but will give us the theme of the civilizations. Our history sentences will be fleshed out in a way, by diving into the civilizations beliefs, and then meeting those beliefs with Christianity, and the monotheism of Judaism. I'm going to start with Mesopotamia, and Gilgamesh the Hero . I've decided to match this one with Adam and His Kin OR just Genesis (probably the Message translation). I've read the reviews on Adam and His Kin, and they are so mixed I'm going to have to read it myself before I decide. So I'm ordering it with the intent to pre-read. We shall see. Next up will be the Egyptians and Moses. The kids saw these coloring books, Gods of Ancient Egypt , while I was looking at something else, and decided they looked "awesome!" So I'm throwing those in too. For our reading, we'll be looking at A Treasury of Egyptian Mythology (it's at our library) and Exodus. I found this helpful chart to match the plagues to the gods and goddesses of Egypt. Next we'll travel to Greece. The kids already have a great understanding of the Greek Myths. We've been reading the Percy Jackson books and D'Aulaire's Book of Greek Myths this summer. For our reading list, we're going to read an abridged copy of the Odyssey and the Iliad in The Black Ships before Troy . (Part of me feels guilty reading an ABRIDGED copy, because we're classical homeschoolers, we should be able to translate the original, right?! No, we can't; either we're failures or normal. So I'm reading this copy in order to give them an introduction to the story before they eventually read the unabridged stuff.) After Greece, we'll read about the disciples with The First Christians . Technically, they were against Rome, but I'm doing Greek because they wrote in Greek. Rome! This will be two books, These were the Romans , and Roman Myths . And since Perpetua was the inspiration for this year, we'll be reading The Bronze Ladder in contrast to Rome. I also want to touch on the Vikings, so we'll read D'Aulaire's Book of Norse Myths (or I also found this book, set to be released in September that I may grab up then, called a Treasury of Norse Mythology ). and I found this book St. Magnus, the Last Viking to read afterwards. I used Tapestry of Grace's BookShelf Central for many of my ideas, Half a Hundred Acre Wood's Reading List for Cycle 1, Classical Christian Education 1000 Good Books List, and just Amazon's suggestions. I spent way too much time on this, but I had fun and now I need to just stop looking because I know I'll find more! I'll be posting soon the other plans I'm coming up with, but this is a pretty word-y post as it is. 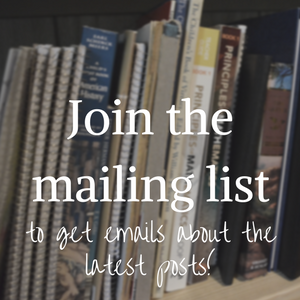 Do you have a reading list ready? Are you as excited as me? I love your plan for reading myths then saints! That's what I hoping Sara! I spoke with my little sister, who is in college but did CC all through high school, about if it would be nice to have a general understanding of the stories beforehand. She thought it would, so I'm going with it. Thanks for the encouragement ! Great post! We read some of these books in our homeschool, and enjoyed them very much. Thanks so much for sharing your post at Together on Tuesdays!!! I like the way you are approaching this! We are not doing CC this year, but we will still be back at the ancients, so I've got some of these resources on my list too! We are actually going to go through the CC timeline cards one at a time (mostly...skipping over some for sake of making it through more quickly), adding on extra reading and activities. I love looking through book lists and getting plans ready! Me too Amy! It's always so exciting to start the new year and new books. We're waiting on some of them to get here today! That's a great idea about the timeline cards. Those cards are so full of information. We use the Mystery of History on audio books in order to cover the timeline more in depth. You added some books I haven't seen that will work great for us. I think we have lots of CC people around here because all 8 copies of Gilgamesh are already checked out - it truly can't be that popular on a normal basis. Thanks so much for the great suggestions. I hadn't heard of St. Magnus and one of my kiddos had the middle name Magnus so he will LOVE that!